Cups Egyptian There are 5 products. 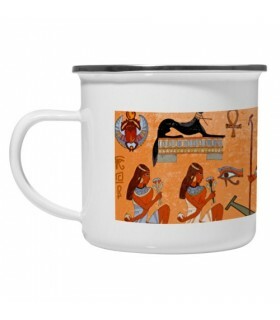 Mug Egyptian mythology pottery with images of Egyptian pharaohs and gods. Ideal for your breakfast, for a coffee or an infusion. Suitable for washing in the dishwasher. It has capacity for 325 ml. 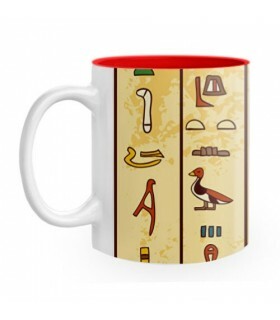 Ceramic mug with Egyptian hieroglyphics. Ideal for your breakfast, for a coffee or an infusion. Suitable for washing in the dishwasher. It has capacity for 325 ml. 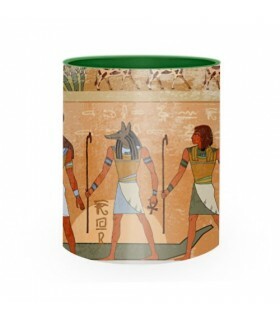 Vintage Egyptian enameled brass mug. Ideal for your breakfast, for a coffee or an infusion. Not suitable for microwave or dishwasher. 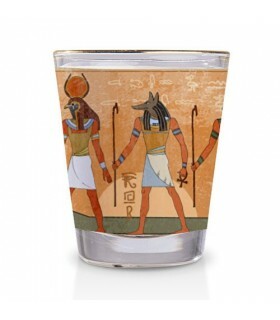 Shot glass egyptian symbols. Manufactured from glass with the rim finished in gold. It is recommended to hand wash. 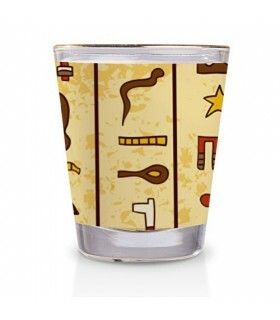 Shot glass Egyptian Hieroglyphics. Manufactured from glass with the rim finished in gold. It is recommended to hand wash.